Saturday night, my husband and I took a couple of friends to see Ring of Fire: The Johnny Cash Musical Show in beautiful Grand Rivers, Kentucky at the Badgett Playhouse. If you’ve read Genuine Kentucky for any length of time, you know that we frequently see shows at the Badgett Playhouse. They’re always a lot of fun and this show was no exception. Before I launch into Ring of Fire, I just want to rave a little bit about Badgett Playhouse, Grand Rivers, and the Variety! Music, Memories, & More shows and cast. My husband (Michael) and I also frequently go to the Grand Ole Opry in Nashville. We see shows at the Opry as well as the Ryman. We always have a great time – Nashville restaurants, combined with the great talent keep us coming back. I’d love for more Kentuckians (as well as people in other states) to realize that we have a “baby Nashville” in our own backyard. No, Grand Rivers doesn’t have as many restaurants as Nashville (Thank goodness! Who needs the traffic?!) – but many would say that the infamous Patti’s Settlement more than makes up for it. 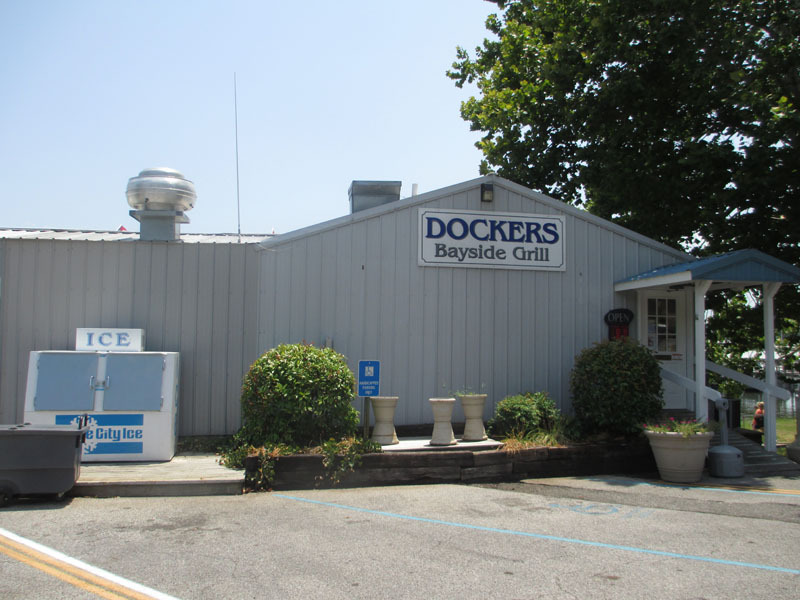 Other outstanding restaurants in the area include Willow Pond (Calvert City and Eddyville), Lake Barkley State Resort Park Lodge’s restaurant, Catfish Kitchen (Draffenville), and Majestic Pizza and Steakhouse (Draffenville – some of the best pizza anywhere!). Trust me, I can vouch for each of these restaurants – they’re excellent. If you’re lodging in the area, and time isn’t a problem, you can find even more restaurants in Paducah, Benton, Murray, and Aurora. If you ever get a chance to eat at Aurora’s Willow Pond, do so. The hush puppies will blow your very mind. The Variety! Music, Memories, & More shows are as entertaining as the shows we see in Nashville. Each time I leave, I wonder, “Why aren’t these singers, comedians, musicians, and dancers in Nashville?” I don’t say it out loud, of course, because I don’t want Nashville to know they’re here. Why spoil a great thing?! Have you ever raved about something (a restaurant, movie, tv show…) to someone, then when they watch it – held your breath, hoping they liked it as much? With most things in life, it sort of plays out like that. However, whenever we take friends or family to a Variety! Music, Memories, & More show, I’ve never held my breath once. I KNOW, beyond a hint of doubt, that the people involved will never let us down. The friends we took were from Nashville, so they’ve seen, and heard, some great entertainment. It was wonderful to know that they’d see great entertainment on this night as well. One minute into the show, they were laughing, tapping hands on their legs, and having a great time. Honestly, there was never any doubt in my mind that the rock would roll just like that. The show was one that every Johnny Cash fan will want to see. Not only do the ridiculously talented singers and musicians do the songs GREAT justice, you’re treated to precious footage and memories of Johnny Cash, his life, and his childhood. It all blends together perfectly to celebrate the life and music of the Man in Black. It’s a 2 hour tribute that you wish would last a couple of more hours. The show included “regulars” that we know and love: Sara Minihan, Scot Durham, Eddie Holland, Thomas Michael, and Stephanie Jo Newton. I was reminded, again, of how much Stephanie Jo Newton’s voice reminds me of one of my favorite country star’s, Lee Ann Womack. Thomas Michael, who is consistently a crowd favorite, was featured heavily in this show and it was a stroke of genius. His rich, beautiful voice was ideal for Johnny Cash songs. The musicians were, as always, outstanding. Unfortunately, the website (Grand Rivers Variety) doesn’t have the Cast list featured for this particular show, so I can’t give the name of the drummer – but he was really something special! Fortunately, my husband and I were so impressed with two new faces that he took my notebook and asked Bill Minihan for their names! Barry Jobe and Chad Mullins blew us away. Suffice to say, they were two more performers who had me wondering, “Now… just why aren’t they on stage at The Grand Ole Opry or in Nashville making country music? !” Of course, this was wondered silently. Many times over. Shhh, we don’t want Nashville taking them away just yet. Barry Jobe did quite a few vocals and did so beautifully. Chad Mullins also did vocals, in addition to playing the banjo unlike I’ve ever heard it played before. I was mesmerized. If either is ever in concert, I’m so there. The whole night was memorable, fun, and very entertaining. One of my favorite moments was the song Jackson by Thomas Michael and Stephanie Jo Newton. Their voices were wonderful together and each did their parts perfectly. Stephanie Jo, at a young age, is outstanding at something that many performers (even veterans) don’t quite get: You don’t have to “oversell” great songs, great writing, and great talent. You just let it flow. It’s something I’d noticed before about her and, when I realized that she’d be singing Jackson with Thomas, I thought, “This will be a true test..” After all, the song is so spirited and fun, it would have been really easy to go overboard with facial expressions and try to FORCE the audience to have a good time. Stephanie Jo and Thomas each realized that the song, the lyrics, and the story they told were the real stars, and they gave them center stage. By doing so, they showed their own star power. 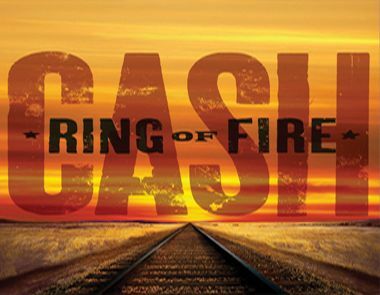 I hope you’ll make your way to beautiful Grand Rivers, Kentucky and see Ring of Fire: The Johnny Cash Musical Show. Click HERE for 2013 Ring of Fire dates!